During the 1800′s many clubs began to spring up with the intent to breed specific dogs, many of these groups operated in secret. Their intent was to create working dogs that suited their local needs and many of the dog breeds we know of today come from many of these clubs. In 1891 a group of German dog fanciers formed the Phylax (Greek for “Guardian”) Society with the intent to create a standardized German dog breed for herding and protection. Sadly, the club was short lived since there was a lot of disagreements over what should be included or not included with this new breed of dog. The largest point of contention was over whether this breed of dog should be bred for looks or working ability. Due to the lack of results or compromise many members left and the club officially disbanded in 1894. This paved the way for Max von Stephanitz to form the Verein für Deutsche Schäferhunde (Society for the German Shepherd Dog, commonly referred today as the SV) in 1899. Stephanitz purchased property near Grafrath in the 1890s where he began experimenting with dog breeding. He used many of the techniques utilised by English dog breeders of the period. He was primarily interested in improving the German shepherding dogs because they were local and were the working dogs of his time. Stephanitz enjoyed attending dog shows and observed that there were many different types of shepherding dogs in use in Germany but there was no breed standardization. 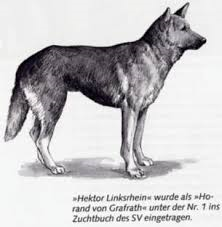 He greatly admired those dogs with a wolf-ish appearance and prick ears who also were intelligent, had sharp senses and willingness to work and believed that he could create a better working dog that could then be used throughout Germany. 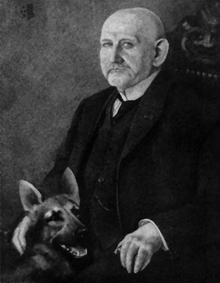 He purchased his first dog Hektor Linkrshein in 1899 and changed his name to Horand von Grafrath. 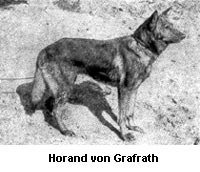 Horand was used as "the" primary breeding stud by Stephanitz and other breeders and is the foundation of the German Shepherd breed as we know it. Stephanitz used the knowledge he had acquired during his years at the Veterinary College and "...established a ‘grand design’ he wanted breeders to aim for with judging based on angle of bones, proportions and overall measurements." 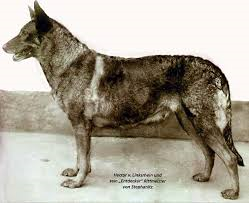 Horand's son Hektor v. Schwaben and his grandsons Heinz v. Starkenburg, Beowolf and Pilot were also instrumental in standardizing the breed. Dogs from other areas of Germany such as Franconia, Württemberg and Thuringia were also used as breeders. 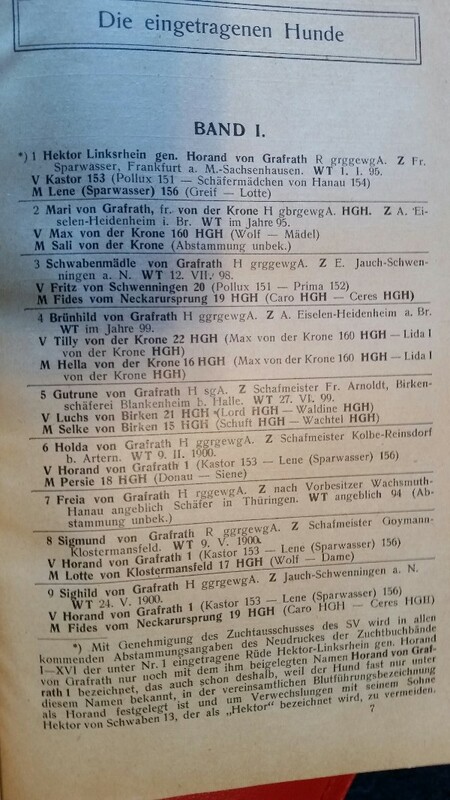 The 1st Zuchtbuch (Breed Register). These are the 1st German Shepherds Ever Registered by the SV. 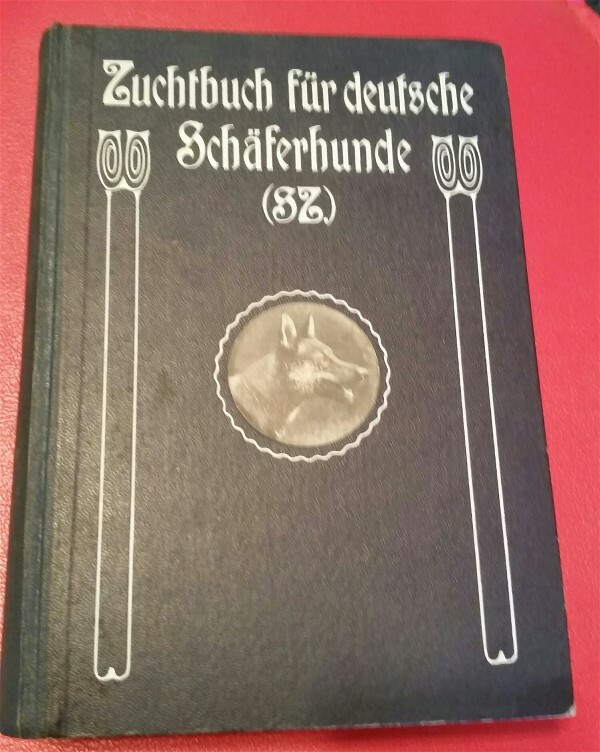 On 22 April 1899 Stephanitz founded the Verein für Deutsche Schäferhunde (S.V.) with his friend Artur Meyer. Three sheep masters, two factory owners, one architect, one mayor, one innkeeper and one magistrate joined them as co-founders. Along with establishing a breed standard the S.V. 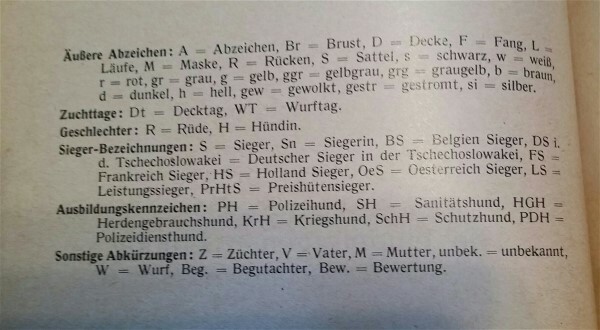 also developed a Zuchtbuch (Breed Register). 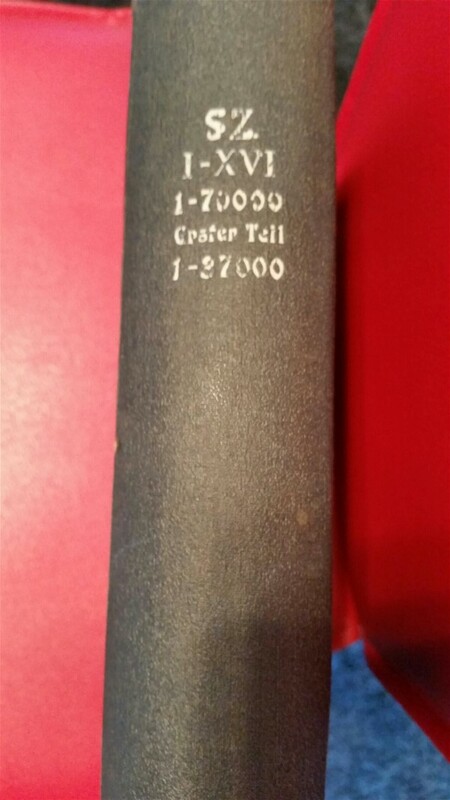 Twenty years later they published the Körbuch (Breed Survey Book), which determines a dog's suitability for breeding based on their physical and mental characteristics, and not based solely on show wins. Under Stephanitz's guidance the S.V. became the single largest breed club in the world and it was his idea to introduce the breed to other types of work such as delivering messages, rescue work, sentry duties, and as personal guard dogs. The German Shepherd made its world debut in these roles during the First World War. 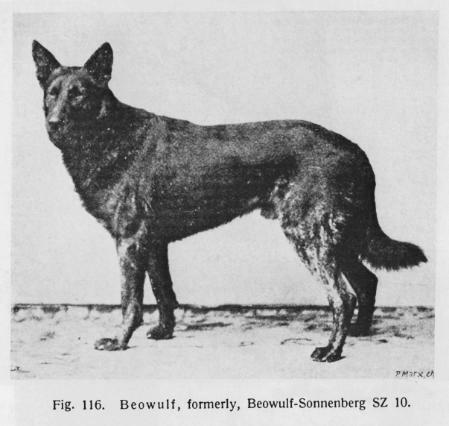 The first Schutzhund trial was held in Germany in 1901 and tested the dogs abilities in tracking, obedience and protection. The English Kennel Club honoured the breed with its own register in 1919. Stephanitz died in Dresden on the 37th anniversary of the club he and Artur Meyer founded together.The S.V. is still in existence and is headquartered in Augsburg, Germany.